SME4SPACE has launched a Survey on the viability of innovative mechanisms to finance H2020 well-evaluated but not funded Space proposals. We kindly invite all the stakeholders: SMEs, Large Companies, Universities, Research Centres, Space Agencies, National Delegates and also Regional representatives to participate in this survey bringing their knowledge and their experience. 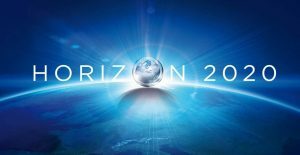 As all may know, only a small percentage of all submitted projects proposals for H2020 Space are funded: a large part of them, although interesting and positively evaluated, remains unfunded due to the lack of funds. SME4SPACE proposes 3 possible mechanisms for financing these proposals and in order to overcome this issue. Therefore, we look forward to your input based on your experience. Replying to this survey will not take more than 5 minutes. Participate in the survey following this link: https://ec.europa.eu/eusurvey/runner/SpaceProposalsH2020. Please, feel free to spread the word and to forward this e-mail to your colleagues who may be interested in participating and giving their experience. The results will be used to write a paper that has been accepted for an oral presentation at the International Astronautical Congress (IAC) to be held in Bremen in October 2018. All respondents will receive the full paper and the relative presentation. Moreover, if you wish your participation in this survey will be acknowledged in the paper acknowledgements paragraph. The proposed mechanisms adopt the Virtual Common Pot system that is already in use within EC programmes (e.g. in ERA-NET). With the Virtual Common Pot system each participating funding organisation funds its own successful participants. Funding is not available from one funding organisation for participants from other funding organisations, thus there is no cross border funding involved. Space is a sector where more than in other ones international collaborations are needed in order to carry out R&D projects, for this reason H2020 space consortia are compounded by industries, SMEs, universities and research centres from different EU countries/regions. Within H2020 R&D Programme yearly several Industries, SMEs, Universities and Research Centres present a quite impressive number of proposals. Among these only a very limited number is financed, while a large part, even though interesting and positively evaluated, remain unfunded. In order to overcome this issue, SME4SPACE proposes a set of possible mechanisms for financing R&D proposals presented within H2020 that have not been financed by the EC due to lack of funding. In parallel with the H2020 and, in future, with FP9 work programme, each country/region interested in participating in this mechanism for funding the well-evaluated space proposals, but not funded, decides the amount of money to dedicate to this purpose and indicates the topics of interest. Each country/region presents in advance its own regulation to be followed by its entities, which may differ from country to country and also from EC one. On the basis of the available resources, the origin of the partners in consortia, the number and the quality of the unfunded proposals, a list of eligible proposals is drafted. In this scheme, the funding reporting is managed at national/regional level, i.e. each consortium partner has to report its own expenses to its funding agency. 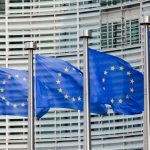 The proposed mechanism foresees also that the overall scientific monitoring at project level will be managed by the Research Executive Agency (REA) from the European Commission, that will receive an extra budget from each funding agency on the basis of a percentage of the overall allocated funds. The interested countries/regions do not decide in advance how much allocate and on which topics, but they decide on a case by case basis. The following steps are the same of mechanism No 1. The same mechanism No 1, but with an independent central service for the scientific monitoring of the funded projects established and financed by the participating countries. As above-mentioned, all the proposed mechanisms adopt the Virtual Common Pot system. For all three mechanisms, when the consortia partners submit their proposal they have to confirm their availability to be funded also through this alternative scheme, since there could be differences in the funding rate/rules between the H2020 Work Programme and the National/regional regulations. Also with these mechanisms a Consortium Agreement is needed in order to receive the funding. Then each Consortium partner has to follow its own national/regional regulation and procedure in order to be financed by its national/regional funding agency. These approaches are proposed for Space, but they can be applied also to other sectors. The following survey will help SME4SPACE to better understand which could be the possible obstacles in implementing such mechanisms and to raise the awareness among the stakeholders on this opportunity. If you may need further information and/or clarifications, please do not hesitate to contact Rosario Pavone who is the paper principal author and SME4SPACE Secretary at the following e-mail rosario.pavone@sme4space.org.